A South Korean court has approved the seizure of Mitsubishi's assets over the Japanese industrial giant's use of forced labour during World War II, an activist group said Monday. Japan and South Korea are both democracies, market economies and US allies, but their relationship has been strained for decades as a result of Tokyo's brutal 1910-45 colonial rule over the Korean peninsula. Around 780,000 Koreans were conscripted into forced labour by Japan during the 35-year occupation, according to data from Seoul, not including women forced into sexual slavery by Japanese troops. 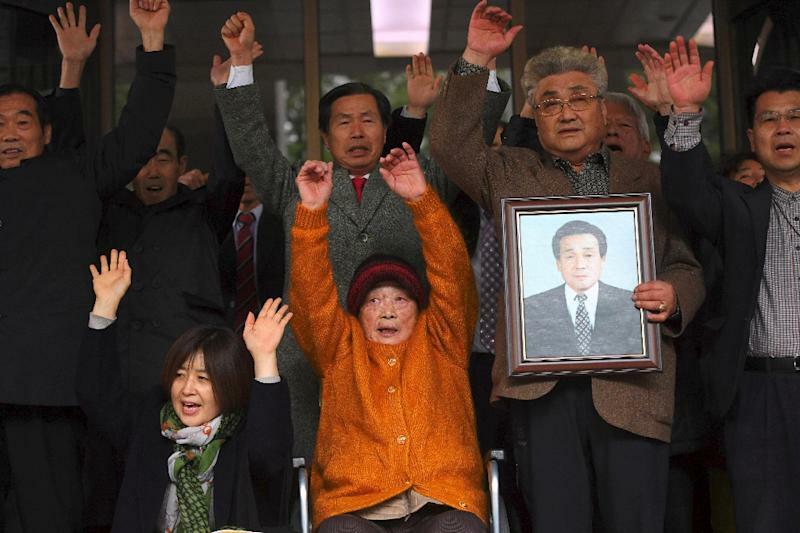 After years of legal battles, five Korean victims won a ruling from the country's Supreme Court in November ordering Mitsubishi Heavy Industries to pay each plaintiff compensation of up to 150 million won (US$132,000). Four of the wartime labour conscripts filed an asset seizure request in January, saying Mitsubishi had failed to respond to court orders. One plaintiff died earlier this year. On Friday, the Daejeon District Court south of Seoul ordered the seizure of two trademark rights and six patents belonging to Mitsubishi, a civic group campaigning against Japan's forced wartime labour policies said. "The process of compulsory execution against war criminal firms has officially begun," the group said in a statement released Monday. "With the latest court ruling, the debtor will be barred from carrying out transfer of rights... or any other act of disposal on the concerned trademark and patent rights," it added. If Mitsubishi fails to show a "sincere attitude", the group warned it would sell the seized assets. Japan says all historical compensation issues were settled under a 1965 treaty that re-established diplomatic relations and included a reparations package of about $800 million in grants and cheap loans. But recent court rulings in Seoul determined that the use of forced labour by Japanese firms was not included in the controversial treaty.